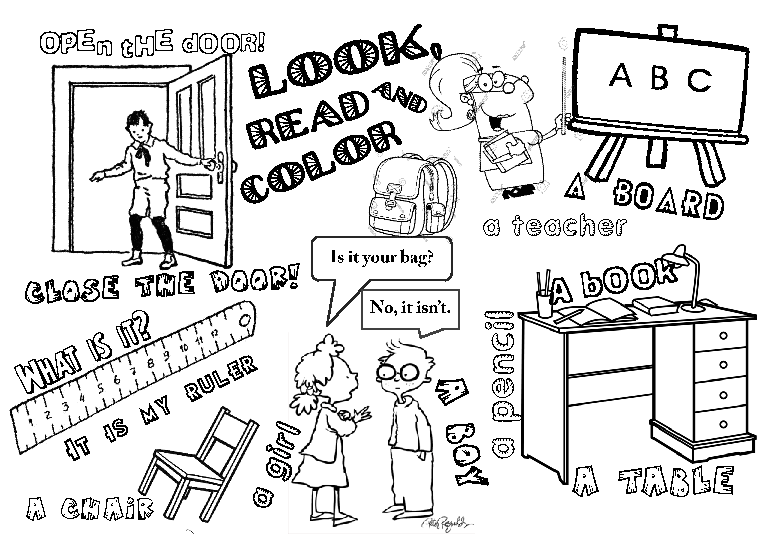 This coloring page for kids combines colouring and some words (classroom furniture and objects mostly) and phrases for the very beginners (see "Excellent! 1" Unit 1 and 2 active vocabulary). 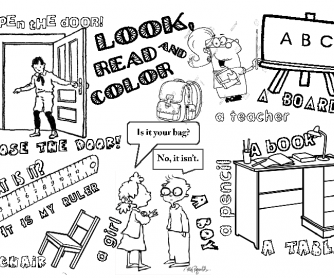 Children can revise new words while coloring at home or in class.